Why can’t I find my man? So you’re a Praying Woman, Independent Woman, you cook, you clean, you’re educated, maybe even own your own business. 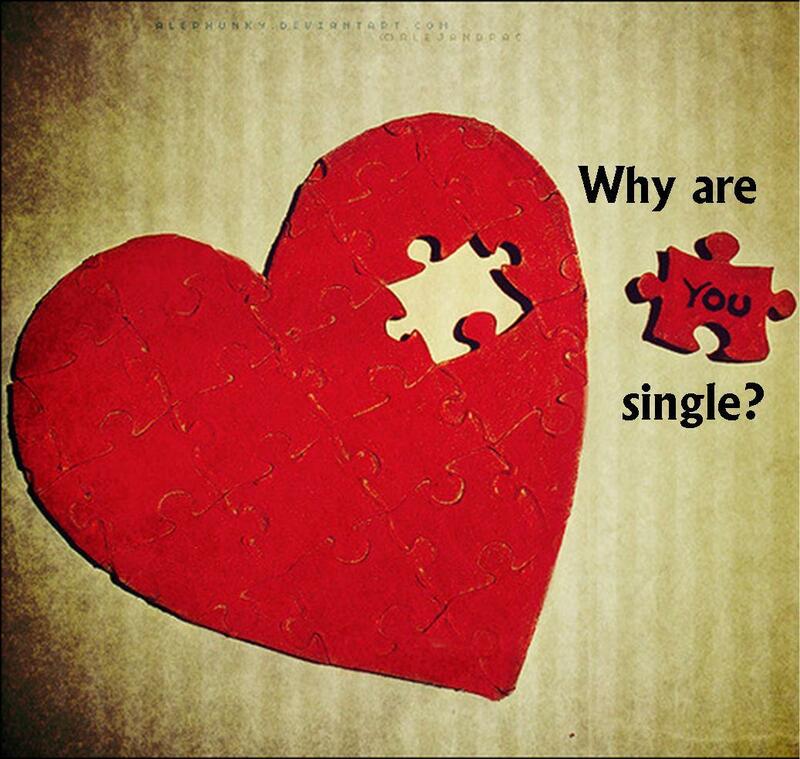 You have all the qualities every man would hope for, but there’s just one problem… YOU’RE SINGLE! You begin to doubt yourself. “Maybe I’m not such a good woman afterall.” … “What am I doing wrong?” In fact, you begin to question if you’ll ever find ‘the one’. Now, back to the question, “Why can’t I find my man?” Today, I will explain three points. First, many Christian ladies want a man that “knows where he is going”… but God’s men usually don’t have a clue: Think about that for a moment. Think through the Bible…all the great men that had relationships with God and who he used and blessed….they usually didn’t have a clue about where they were going and (here is the even crazier part) even if they had a clue, their lives for a long time did not reflect that great place God said he was taking them. Just think about it. All the way from Abraham …going to a land he did not know; Joseph having a dream that people would bow down to him but became a slave and then a prisoner; David who was anointed to be King and then lived the next 15 years in the wilderness as a fugitive; Peter the great fisher of men who was barely able to catch fish. God’s men don’t “always” have a direction or know the details. So stop looking for men who have it all figured out! (Note to men: I understand that those men in the Bible didn’t entirely know God’s plan for their lives but the truth is they were found doing something at least before the course of the plan for their lives changed in the direction God wanted it, I believe In being flexible and making allowance for God’s plan to be followed but I do not believe in just staying in one place, you should be found doing something. Have a plan or plans and if it’s in line with God’s will then all well and good, if it’s not, be willing to move in the direction God is leading). Here is what you SHOULD be looking for: Men who can be LED by God(Rom 8:14). Don’t look for a man who already has the best laid plans. Look for one who knows how to follow directions from the best planner. Secondly, good Christian men know their worth too and don’t want to settle either: Yea ladies…men are understanding their worth a bit more too. Christian men are getting more and more comfortable attending relationship seminars and getting information about seeking God’s face for a wife. They are realizing how powerful of an impact a wife has on the outcome of their lives and ministry, and they are spending more time trying to see what is beneath the surface. They know that a woman can make or break everything. They realize that a woman’s desires can accelerate him towards purpose or derail him. They are praying more and they are realizing that while you still remain a prize, they too are precious in God’s eyes and want to do right by him. They are realizing that a wife can make or break a man. Yes they are praying for a Ruth but they are also praying against Delilah as well. Finally, many young married women are doing a major disservice to single women. These young married women create a fairytale picture of weddings and marriage to their single friends. They love being the center of attention and talk up how dreamy it is; perfect Instagram photos, perfect wedding photos, expensive glamorous weddings, perfect Facebook updates, photos and so on. Is there anything wrong with that? No. It would just help a lot more when married young women keep it real with their sisters and tell them that the wedding day does not make the marriage. It would help a whole lot more if they sit their single friends down and talk about the importance of a praying wife, a strong wife, a submissive wife (to a Godly man) and how contrary to popular opinion, the faith of a wife is both a weapon for the family and its defense as well. Instead, they get their single sisters all dreamy eyed and waiting for a perfect story and a perfect man…waiting for Prince Charming from Disney Planet, when they should look at the real brother from Planet earth. Posted on October 6, 2015, in Relationship and tagged character, Christian living, relationship, Single ladies. Bookmark the permalink. 16 Comments. I think these are the types of discussions we need to have. There is clearly a missing link in our relationships or the lack thereof. Ezar, I personally think that you have great points! You were straightforward, and I could appreciate your honesty. Just from listening to friends and others, I agree with every point you mentioned. As a woman who is proud to stand beside her great man, I feel like women don’t hold themselves accountable for a lot of things. Keep up the good work! Ezar, this is deeeeeppp! Wow! I certainly agree with you. Thanks so much for sharing. It has been so easy for me to desire a man who has his life altogether. But the most important thing is for the man to be able to be lead by God regardless of whether he has found his calling or not. Just by reading the reasons I can understand why some good women are still single in fact one of them I can identify with. Thank you can’t wait to read the others. Interesting points made, I’m a female and I understand that building a relationship takes time and my spouse and I have both put in the work and effort to make it work. I see all the down falls and mistakes that most single women have made and I always wanted to avoid those situations. I can honestly agree that these pointers are true for women that fall under those particular categories. Nicely said. I think women really need to see these reasons..some of them I’ve been trying to tell my best friend (a Dr.) & she’s all into a man’s financial status and NOT his drive and ambition. Great post! This is what drives men CRAZY!!!!! This drives men CRAZY because single women these days have been putting out this aura that they want this FANTASY LA LA magical world kind of guy. Too many single women have this false fantasy non existent “Mr. Perfect” and so many men these days have this HUGE PIT in their stomach and sour stomach because so many single women simple DON’T GET IT and drives men insane!!!! It seems like to men that women these days want this “instant” fantasy and expect this something to be absolutely “perfect” like they want to have this “guy” and they want to come to his house and it’s like for a lot of guys these days so many women seem to want like this “perfect” guy with a “perfect house”. It’s as though so many single women these days expect to walk into a marble, perfectly spotless house, the guy supposed to have endless money, suppose to be 6+++ feet tall, suppose to have this “perfect” job (even though the economy is S**T), it’s like he’s suppose to have perfect teeth, perfect skin complexion. I hear alot of women say they want a good man. A man with the right balance of sweetness and masculinity. That’s spends quality time, cooks for them, sends flowers, massage their body the right way. Sexually or Intimately or both. But when they get a man like that they dont know how to cherish or appreciate that guy and want to go back to what they are accoustemed too. We good guys love to cherish the woman we are with, but we also desire a certain amount of attention in return. Often at times its not much. 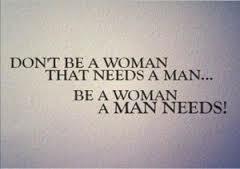 Just knowing you appreciate our efforts go along way, and knowing that we are the only man in your life helps. On occasion in a relationship one person is a worldly person, and the other is saved by the blood of Jesus. And one person want’s the other to change. It’s not gonna work. As much as you like that person, you personally can’t change anyone. Other than yourself and your children. God is the only person that can change his children. If you want a different outcome from your relationship then stop dateing the same type of people. The truth, the whole truth and nothing but the truth! Very ‘eye-opening’. God bless you, Ezar!! I think what would be more positive in the article is recognizing that what you listed is not a gender problem but a people problem. We all should be striving towards God. And we all fall into sin patterns that reflect the fall in the things we look for. Status for women might look like having a spouse that has a high paying job. BUT status for men is having a woman that other guys turn their head to see when this woman walks into the room. We all gasp that rather than asking God, what does He want.